Signature is a person's name written in a distinctive way as a form of identification in authorizing a cheque or document or concluding a letter for identification. Signature is used for signing the Physical Documents. 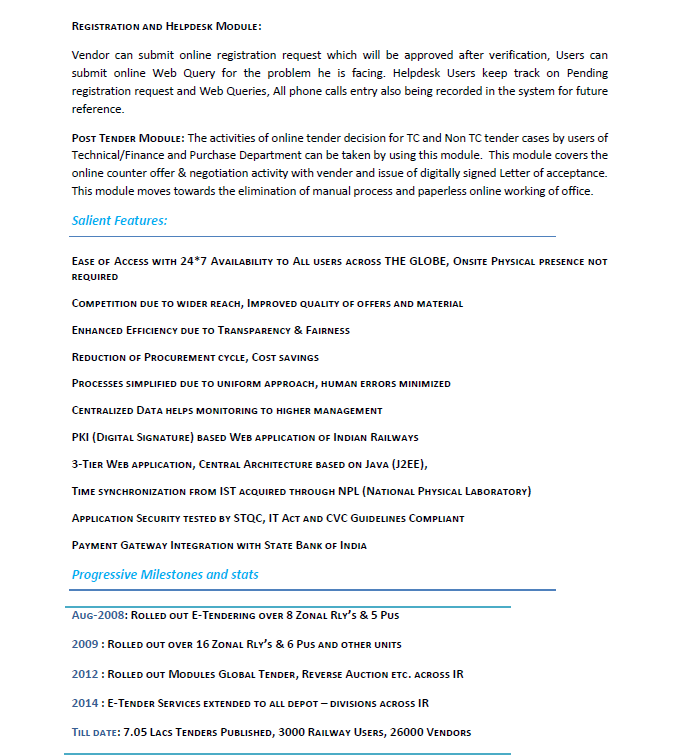 How to sign electronic documents? Electronic documents like e-forms, PDFs etc. are required to be signed digitally using a Digital Signature Certificate. 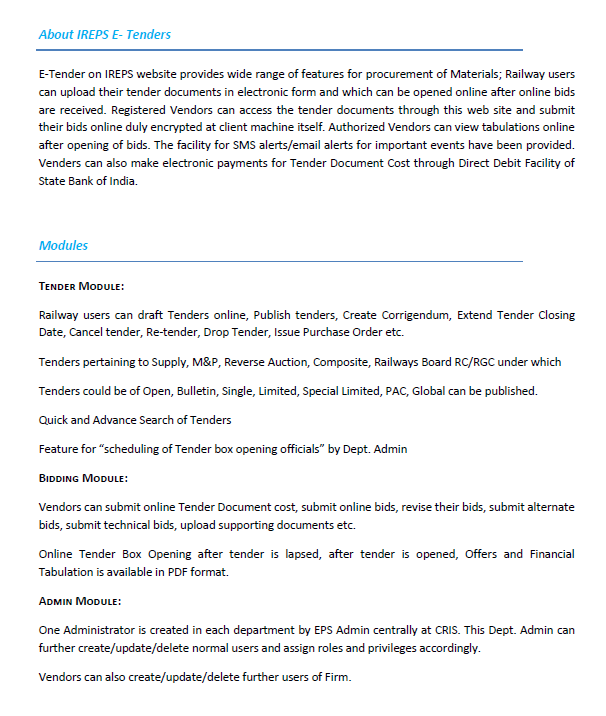 Digital Signature Certificate is being used by Railway Users, Vendor Users and Bidders in IREPS for authentication during login process, Publishing of tenders, Signing and Submission of Techno-commercial and Financial Bids, Signing of Documents etc. 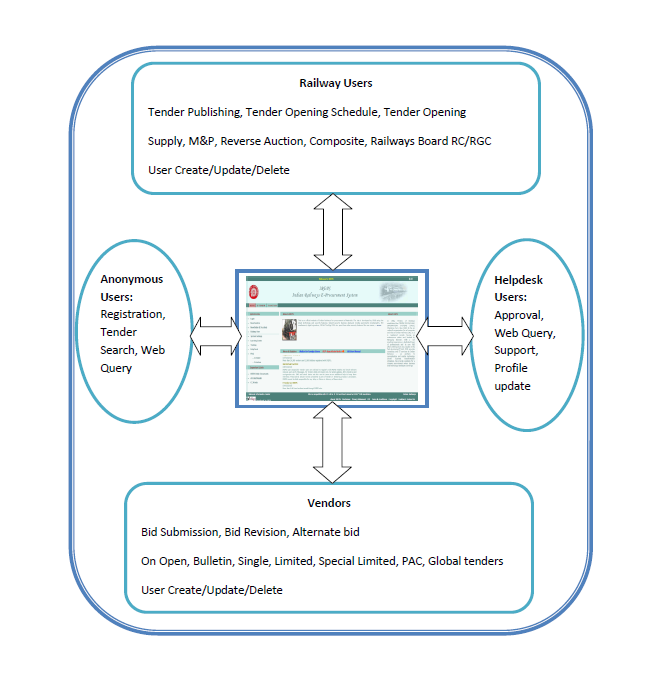 iMMIS (Integrated Material Management System) is an application to integrate the MMIS application running on individual servers in different zonal railways. 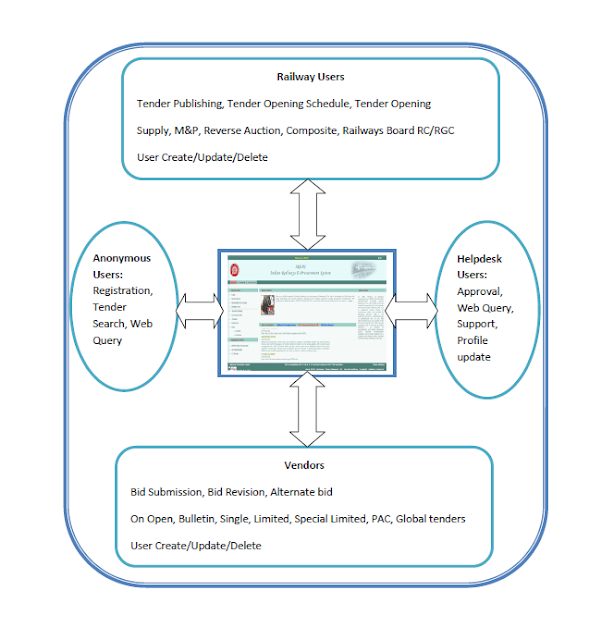 Materials Management Information System (MMIS) was developed at Central Railway in 1998 initially for COS office, Stores, Accounts office and five major depots of the Central Railway. Since then, the system has undergone several customizations and is now successfully implemented on most of the Stores Depots, Divisions & Stores finance branches all over Indian Railways. Now, with the need of the hour, the present decentralized MMIS running on individual server in zonal railways is being integrated at CRIS (Centre for Railway Information Systems), New Delhi with the iMMIS (Integrated Material Management System) web based application on central servers. In the first phase, Local purchase module of iMMIS has been rolled out for implementation in all depots and divisions of stores department of zonal railways. IREPS introduced new feature of Encryption Certificate for publishing of NIT. IREPS introduced new feature of Encryption Certificate for publishing of NIT. As per IREPS, Railways are requested to upload their Encryption Certificate from the link Upload Encryption Cert available in the left navigation block of logged in Railway user's home page. 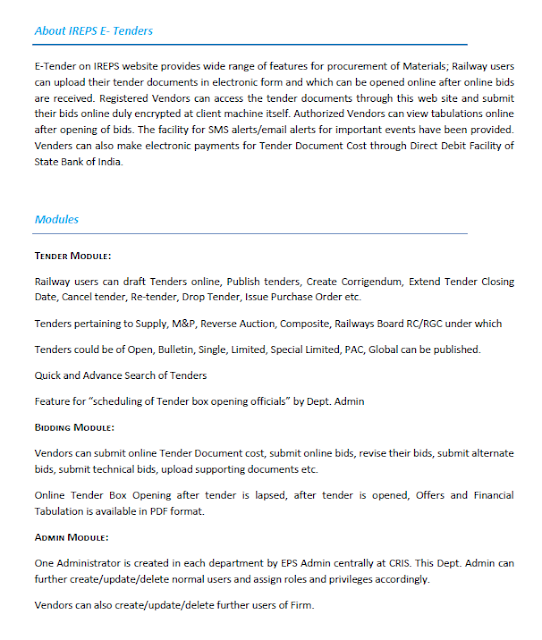 Now there is no need to attach the public key of Encryption Certificate by railway user while publishing the tender. Public key of Encryption Certificate automatically will be attached by IREPS application with the tender when tender become published. Earlier railway users needs to attach the public key of Encryption Certificate with each and every tender at the time of publishing of tender.